Spring has sprung and it’s time to take a look at different ways you can clean your house! This great article that J and R’s Carpet Cleaning wanted to share with you comes from Huffington Post. What’s Lurking In Your Carpet? A Spring Cleaning Guide. It’s time for spring cleaning, hooray! Homeowners everywhere are dusting off the shelves, cleaning out the closet and making sure all the kitchen Tupperware is nicely stacked in order. Your carpet is bacteria’s favorite playground. Robin Wilson is an interior designer with a focus on hypoallergenic homes. She says that bringing outdoor debris inside can turn problematic since you could unknowingly introduce pathogens that get trapped in your carpet. But the main risk here isn’t a bacterial infection… it’s allergies. So THAT’S why you have the sniffles. 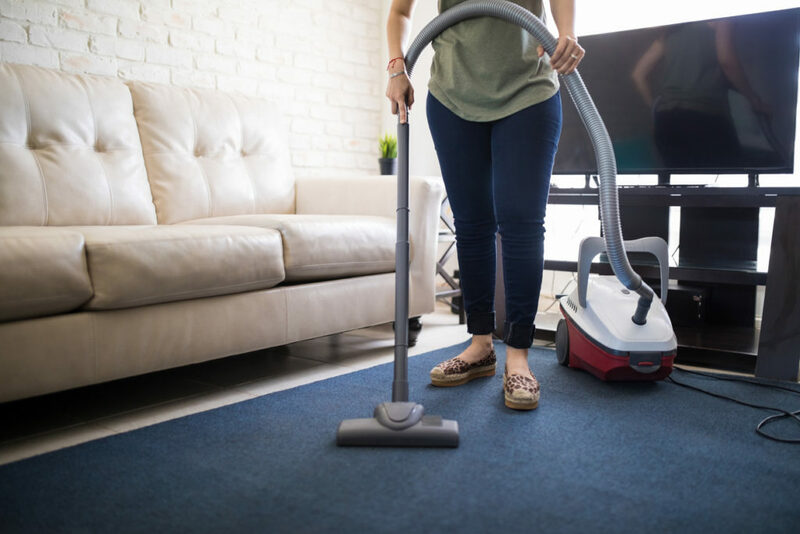 Outdoor debris from clothing and shoes works deep into carpet fibers, creating a “reservoir of allergens“ that can adversely affect nearly 40 percent of Americans, the National Center for Healthy Housing notes. These allergens — like pollen and dust — can cause respiratory issues and wheezing when they get kicked into the air, Wilson says. While sniffles aren’t life-threatening, living in constant discomfort is certainly irksome. Vacuuming is crucial — but usually not enough. Note the word “professional” here. Numerous experts, including Wilson, stress that at-home carpet cleaning systems are NOT the way to go. They often leave a layer of moisture which Wilson refers to as “mold central.” People who are allergic to mold can suffer from stuffed noses, irritated eyes, wheezing, or skin irritation, according to the CDC.